WOW…LOOK AT YOU! YOU HAVE HIGH LEVELS OF ENTHUSIASM, CREATIVITY, AND SENSITIVITY COMBINED WITH PHYSICAL AND EMOTIONAL STABILITY. YOU ARE USUALLY SYMPATHETIC, COMPASSIONATE, PEACEFUL, CALM, AND CREATIVE. Vata-Kapha is your dosha type. What is a dosha? It's simply the Ayurvedic definition for your bio-individuality. In other words it's your body type, which includes your metabolic constitution, your personality, and your physical characteristics. So I'm A Vata-Kapha. What Does This Mean? 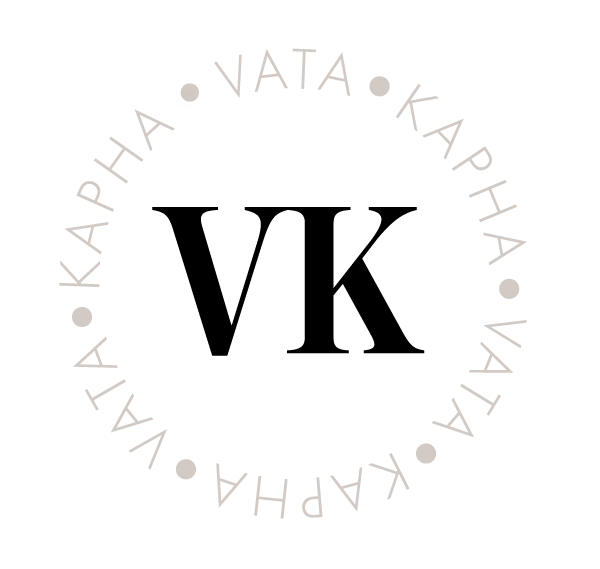 Vata–Kaphas, when in balance, are creative yet stable. A powerful combination. People that are creative yet emotionally and physically stable are true game-changers. Think visionary business leaders, successful artists, and those that are creative in the way they solve problems. Outside the box is where you are most at home. However, if out of balance, Vata-Kaphas have a tendency to dig in your heels, much to the frustration of those around them. However, as people tend to rely upon you to make a decision, your stubbornness often works to your advantage. You know better, and usually you are correct to follow your gut instinct. Vata-Kaphas tend to eat quick, ready-made foods that are made up of empty calories, leading to weight gain and nutritional deficiency. As a result of an over-reliance on eating “convenience foods,” you are constantly hungry and continue to (over)eat to fill the void. You can gain weight at the expense of taking in actual nutrition. You have a deep and unconditional love for your friends and family – who often turn to you for help. Embodied by air and earth, Vata-Kapha's are creative yet grounded. However, warmth can be lacking in the Vata-Kapha individual. Because of this lack of innate warmth, you become out of balance by cold foods and drinks, skipping meals, over-eating when you do eat, and exposure to cold, wet and windy weather. Other health challenges include digestive problems, most notably constipation, respiratory ailments, generally low immunity, over-sensitivity to environmental factors, and restless sleep. Digestive System: Both the Kapha and Vata constitutions are cold in nature which is opposite to the digestive fire (metabolism); this disturbs the digestive system and shows up as gas, bloating and indigestion. Respiratory System: Kaphas produce too much mucus while Vata causes dryness. This results in a blockage in the respiratory system and asthmatic conditions. Kidneys and Urinary System: The activities of the Kidneys and urinary system are regulated by the Vata Dosha but the association of Kapha Dosha makes you prone to kidney stones and other urinary problems. Muscles and Joints: The cold nature of dominant Kapha and Vata Doshas causes spasms and difficulty in movements. Metabolic System: The Kapha-Vata combination causes low metabolic rate making you prone to diabetes, obesity and liver problems. Body Weight: Because of these two Doshas, it is easy for you to gain weight. Immune System: The dominance of the Kapha and Vata Doshas affects the immune system adversely and makes you prone to immunity related problems. Wake up before sunrise and get moving. Kapha’s have a tendency towards sluggishness: Exercise first thing in the morning will get your lymphatic system moving, and clear away any brain fog. Drink a full glass of warm water to sooth any digestive problems. Clean your face, mouth and nasal passages, and gargle with salt water to remove any mucus build-up. To pamper dry, rough skin that can also be oily, indulge in an ayurvedic massage every morning before you bathe or shower. Use mustard oil as this oil is known to improve cardiac health, has antibacterial properties and is an anti-fungal too. Its also great as a blood stimulant – all things that Kapha’s need. Two or three times a week, massage your scalp with warm oil, and let the oil stay for an hour or two before you shampoo. After your shower or bath, apply a generous coating of a pure, gentle moisturizer all over your body to keep your skin feeling smooth and warm all day long. Take any opportunity to sunbathe, the warmth of the sun is rejuvenating for you. Talk a walk every day in nature, walking is the ideal exercise for balancing you. Walk in the early morning, for about 20 minutes every day. Do not skip meals. Eat a nourishing breakfast and lunch at mid-day and a lighter meal in the evening. Sit down to eat each meal, eat in a peaceful atmosphere with your attention on your food, and sit quietly for a few minutes after your meal. If your digestive fire is irregular, practicing these eating habits will help make it more regular. Go to bed early to promote vitality but also wake early – watch you do not sleep too much. Stay light emotionally by being with those who you love and who love you. Although lentils include beneficial nutrients like fiber, protein, minerals and vitamins, they are still low in calories and contain virtually no fat. One cup of cooked lentils only contains about 230 calories, but still leaves you feeling full and satisfied. Lentils also increase steady, slow-burning energy due its fiber and complex carbohydrates. Lentils are also a good source of iron, which transports oxygen throughout your body and is key to energy production and metabolism. This power packed lunch will keep you energized and trim. 1. Rinse the beans and soak in 4 cups cold filtered water for 30 minutes and strain. 2. Put the beans, beets, and water in a saucepan. Bring to a boil over high heat, stirring occasionally. 3. Meanwhile, put the coriander in a skillet. Cook over medium heat until it darkens slightly and you can smell the fragrance, about 1 minute. Stir in the asafetida, remove the skillet from heat, and stir the spices into the lentil mixture along with the turmeric, sage, pepper and lemon juice. 4. When the mixture reaches a boil, reduce the heat and simmer partially covered, stirring occasionally, until thick, 45-60 minutes. Add salt to taste. Enjoy delicious, healthy meals that are specifically designed for the metabolism of a Vata-Kapha with an Ayurveda Meal Plan from The Holistic Highway. Try a Vata-Kapha meal plan for free with a 14 day trial. If for whatever reason you aren't satisfied with your plan, you can cancel at the click of a button, no questions asked, and never pay a dime. After that, it is just $6.99 a month. What have you got to lose? Sign up today!